C.O. Bigelow’s newest products – think rose, parsley, ginger – so amazing ! You have to love the history of a company – C.O. Bigelow Apothecaries is an American pharmacy currently owned by Ian Ginsberg. C.O. Bigelow was founded in 1838 in New York’s Greenwich Village and is the oldest surviving apothecary–pharmacy in the U.S.A. I really like this product I don’t have super oily skin but I love the deep cleansing and love the extracts ! C.O. 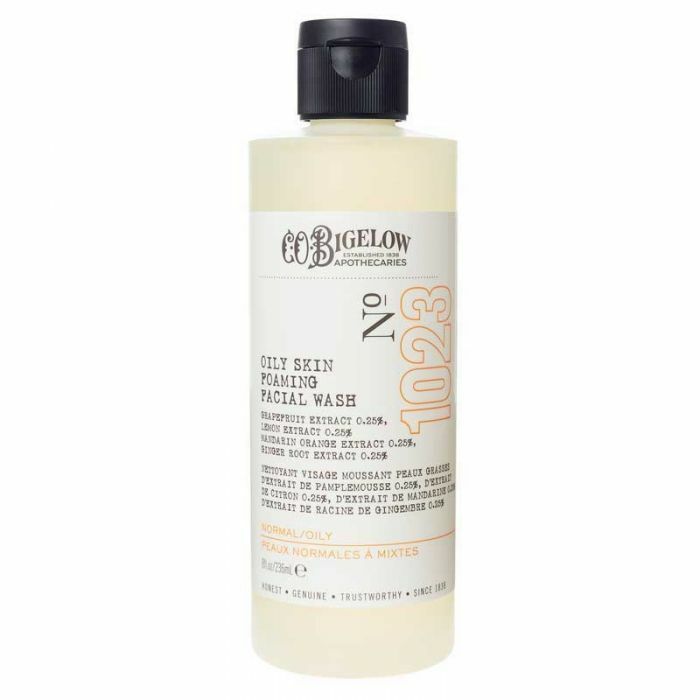 Bigelow Oily Skin Foaming Face Wash – A deep-cleaning cleanser that’s filled with neutralizing extracts of grapefruit, ginger root, mandarin and lemon to rid the skin of surface oil, dirt and debris. It effectively eliminates shine while leaving skin soft and supple. C.O. 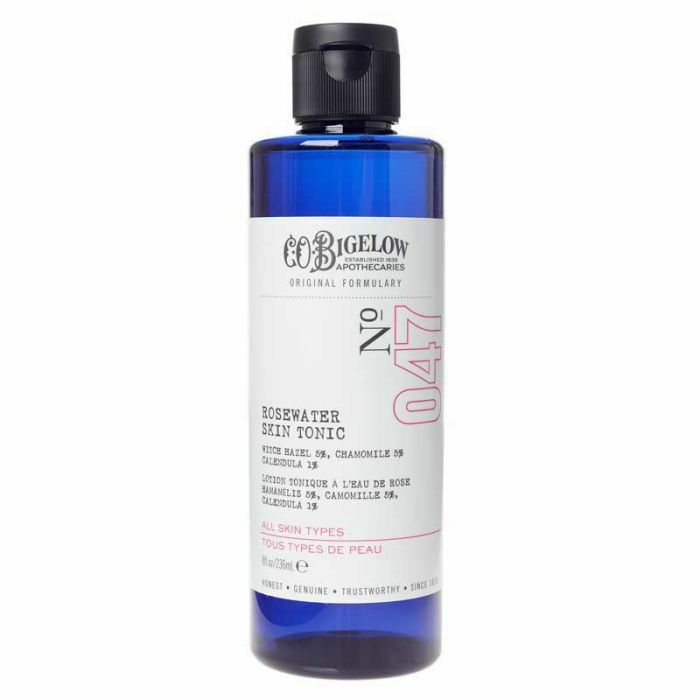 Bigelow Rosewater Skin Tonic – Infused with purifying witch hazel, hydrating rose extract and soothing chamomile, this balancing toner also contains exfoliating salicylic acid for a clean, clear complexion. Lotion – A lightly-textured moisturizing lotion formulated with calming chamomile and parsley extract to replenish, hydrate and soothe dry skin. Nestled in the tiny neighborhood of Greenwich Village in New York City, C.O. Bigelow is the oldest apothecary in America. For nearly two centuries they have served some of the country’s most predominant personalities and have remained true to our traditions, transporting customers back to a time and place of personalized attention, customized formulas and healing therapeutic natural preparations. Vermont Physician Dr. Galen Hunter founded C.O. Bigelow, originally called The Village Apothecary Shoppe, located a few steps away from our current location at 102 Sixth Avenue. That same year, Rose Wonder Cold Cream was formulated by Dr. Hunter as a cleanser, makeup remover, and moisturizer. An employee named George Hooper, who purchased the store from Dr. Hunter 15 years prior, formulated Lemon Body Cream – it’s still a customer favorite today. The lunch counter and soda fountain were installed and notable for roasting a fresh turkey every day, and squeezing an estimated fifty thousand oranges every year. The chicken salad was a hit there and funny enough made with the turkey roasted daily, however called chicken salad. In the Fifties and Sixties, the soda fountain would become a prominent social hub for the many New York creatives including actors, writers, poets and musicians. There is a ton more to hear about all the current history as well so fascinating ! C.O. Bigelow’s tried and true ingredients that have stood the test of time. Get your daily dose of healthy skin nutrients.